The federal carbon tax being imposed on Saskatchewan, Manitoba, Ontario, and New Brunswick comes into effect Monday. People will notice some immediate changes such as an increase in the price of gasoline at the pumps, expected to be 4.6 cents as of Monday, and carbon levies on some utility bills such as SaskPower and SaskEnergy bills. Under the new federal levy, oil products such as gasoline and diesel, natural gas and coal-fired electricity will be affected. Large industrial emitters will be covered by a different system and will be taxed on a portion of their emissions, based on how efficient they are relative to industry peers. Many of the largest industrial emitters have been granted exemptions by Ottawa. Internal federal documents show the government does not expect the carbon tax to have much impact on actual emissions. One leaked internal federal document shows the government expects escalating revenues from the carbon tax as the price per tonne of carbon dioxide emissions rises each year. In Saskatchewan, the document cites revenue of $260 million the first year, $520 million the second year, $780 million the third year, $1,040 the fourth year and $1,300 million, or $1.3 billion in the fifth year. That adds up to $3.9 billion in carbon tax in Saskatchewan alone over five years. The same document estimates that after five years and $3.9 billion in carbon taxes (about $3,500 for every person in Saskatchewan) the total impact on carbon emissions in Saskatchewan will be a reduction of 0.6 per cent. 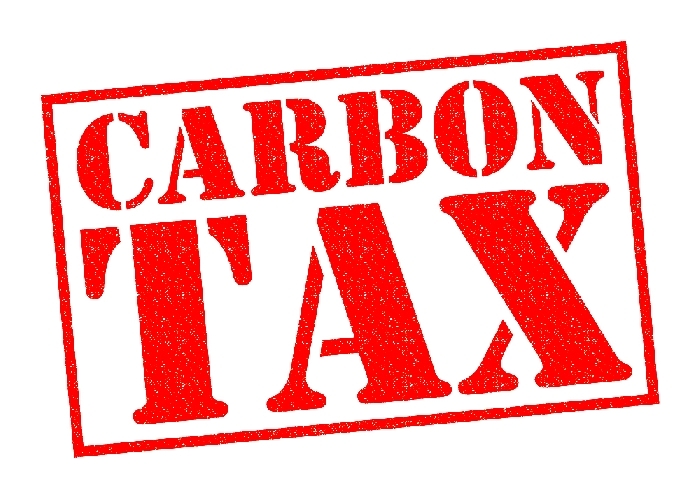 According to the federal government, the costs of the carbon tax will be $403 for an average family in Saskatchewan, $232 in Manitoba, $244 in Ontario, and $202 in New Brunswick. The amounts vary from province to province because each jurisdiction relies on fossil fuels in different amounts, meaning there will be more or less revenue per person generated from the tax. Saskatchewan is currently fighting the federal carbon tax in court, and argues that its own plan for reducing greenhouse gas emissions would be more effective than the federal carbon tax. Last October, Manitoba Premier Brian Pallister killed the province’s carbon tax – which was proposing a flat carbon price of $25 per tonne – and instead said the government will focus on other efforts to curb emissions. This was in response to a federal government official reportedly saying Manitoba was not doing enough to protect the environment—despite producing 90 per cent of its electricity from renewable hydropower, one of the highest rates of renewable energy production in the world—after Pallister switched from supporter to critic. “We say yes to a made-in-Manitoba green plan – without a carbon tax,” Pallister said in the provincial legislature.